Expired. 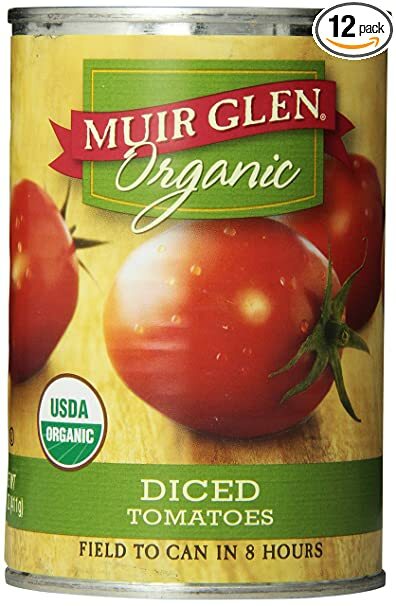 Amazon.com offers Muir Glen Organic Tomatoes, Diced, 14.5-Ounce Cans (Pack of 12) for $12.12 shipped free when you you clip the 20% off coupon and add to cart via Subscribe & Save. Muir Glen Organic Tomato Sauce, 15-Ounce Cans (Pack of 12) for $12.42 shipped free when you you clip the 20% off coupon and add to cart via Subscribe & Save. Muir Glen Organic Diced Tomatoes, Fire Roasted, 14.5-Ounce Cans (Pack of 12) for $12.42 shipped free when you you clip the 20% off coupon and add to cart via Subscribe & Save. Muir Glen Organic Whole Peeled Tomato, 28-Ounce Cans (Pack of 12) for $28.70 shipped free when you you clip the 20% off coupon and add to cart via Subscribe & Save. Expired. 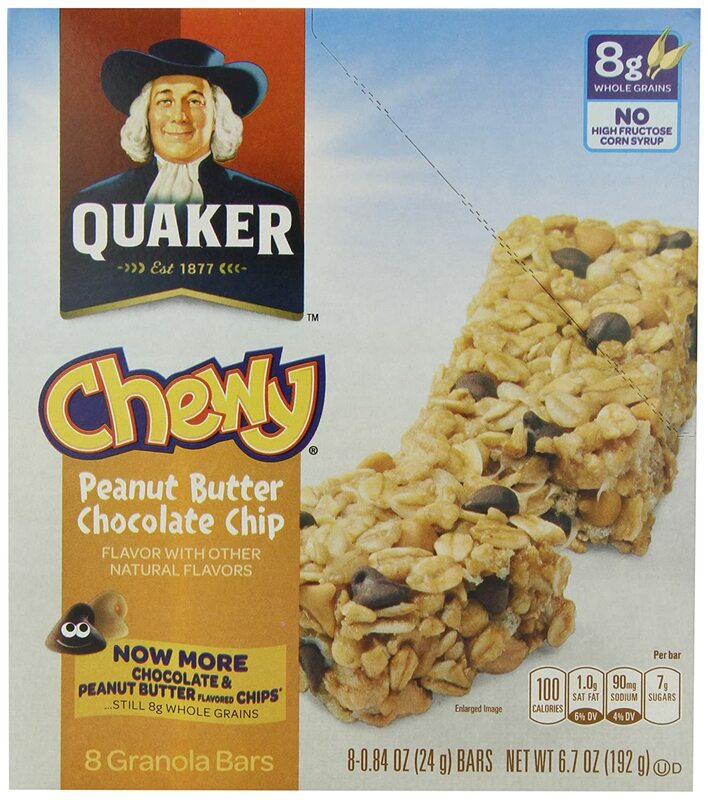 Amazon.com offers a 15 count pack of KIND Healthy Grains Granola Bars, Oats & Honey with Toasted Coconut, 1.2oz for $6.70 shipped free when you you clip the 20% off coupon and add to cart via Subscribe & Save. 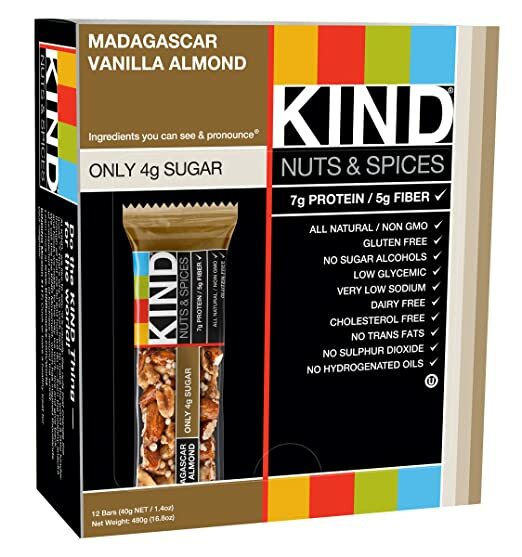 KIND Healthy Grains Granola Bars, Maple Pumpkin Seeds with Sea Salt, 1.2oz Bars, 15 Count for $8.09 shipped free when you you clip the 20% off coupon and add to cart via Subscribe & Save. 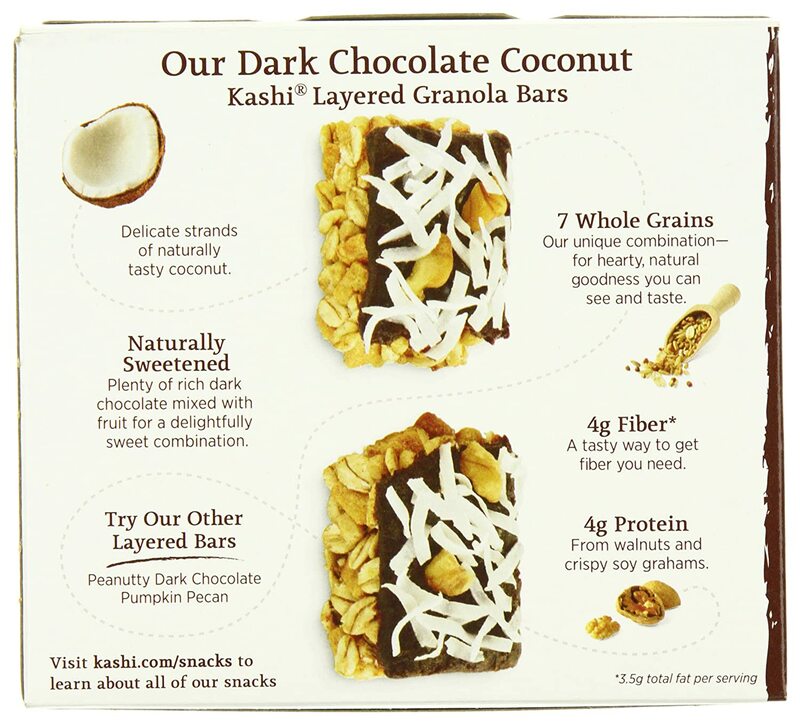 KIND Healthy Grains Granola Bars, Peanut Butter Dark Chocolate, 1.2oz Bars, 15 Count for $6.70 shipped free when you you clip the 20% off coupon and add to cart via Subscribe & Save. 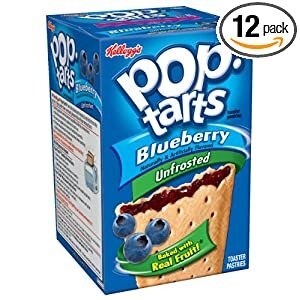 KIND Healthy Grains Granola Bars, Vanilla Blueberry, 1.2oz Bars, 15 Count for $8.09 shipped free when you you clip the 20% off coupon and add to cart via Subscribe & Save. 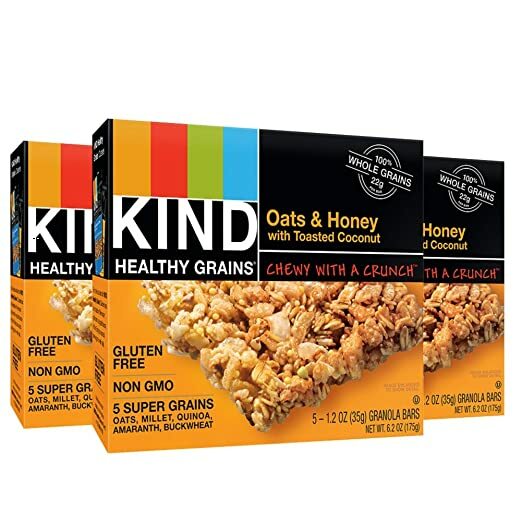 KIND Healthy Grains Granola Bars, Variety Pack, 1.2oz Bars, 15 Count for $7.49 shipped free when you you clip the 20% off coupon and add to cart via Subscribe & Save. 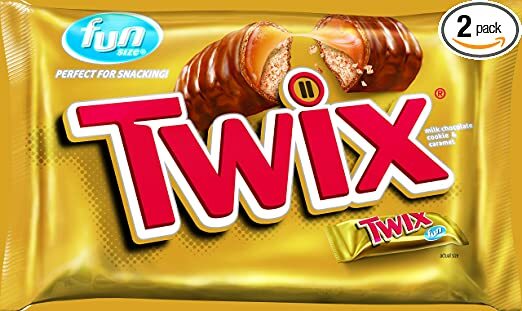 STRONG & KIND Thai Sweet Chili Savory Snack Bars, 1.6 Ounce, 12 Count for $10.67 shipped free when you you clip the 20% off coupon and add to cart via Subscribe & Save. 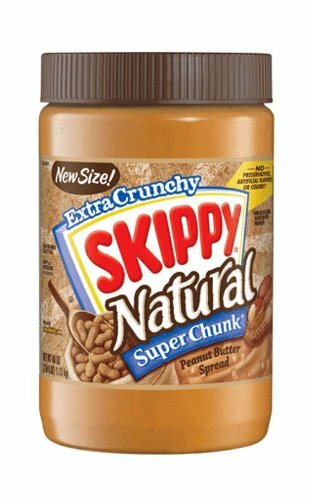 STRONG & KIND Honey Mustard Savory Snack Bars, 1.6 Ounce, 12 Count for $10.67 shipped free when you you clip the 20% off coupon and add to cart via Subscribe & Save. 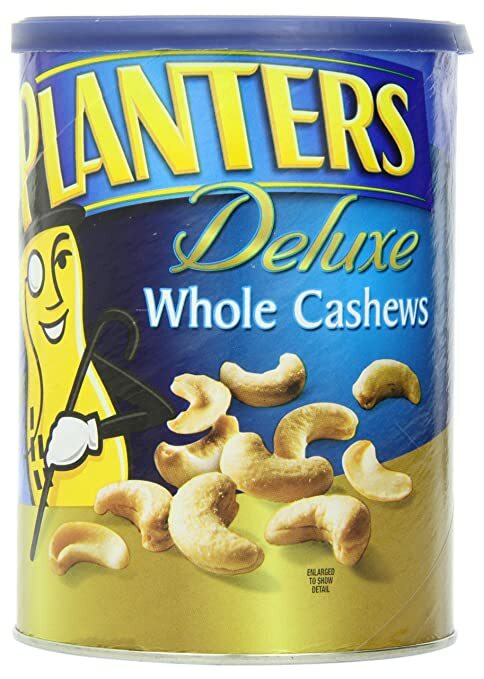 KIND Fruit & Nut, Blueberry Vanilla & Cashew, 1.4 Ounce, 12 Count for $10.67 shipped free when you you clip the 20% off coupon and add to cart via Subscribe & Save. 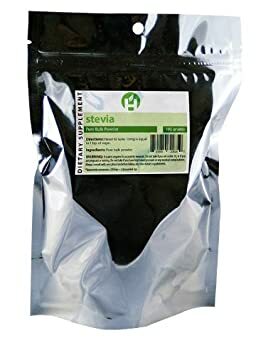 STRONG & KIND Hickory Smoked Savory Snack Bars, 1.6 Ounce, 12 Count for $10.67 shipped free when you you clip the 20% off coupon and add to cart via Subscribe & Save. Expired. 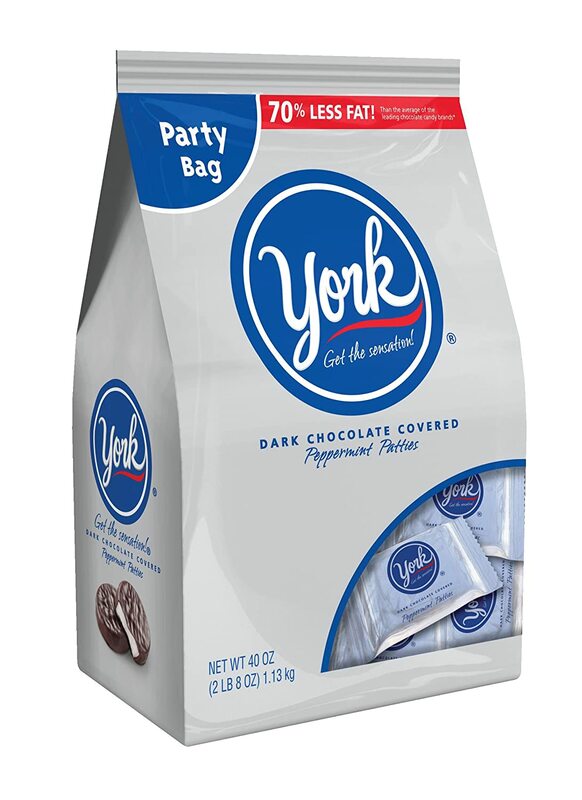 Amazon.com offers the York Peppermint Patties Miniatures, 40-Ounce Bag for $7.49 shipped free when you click the 20% off instant coupon on the product page and add to cart via Subscribe & Save. Expired. 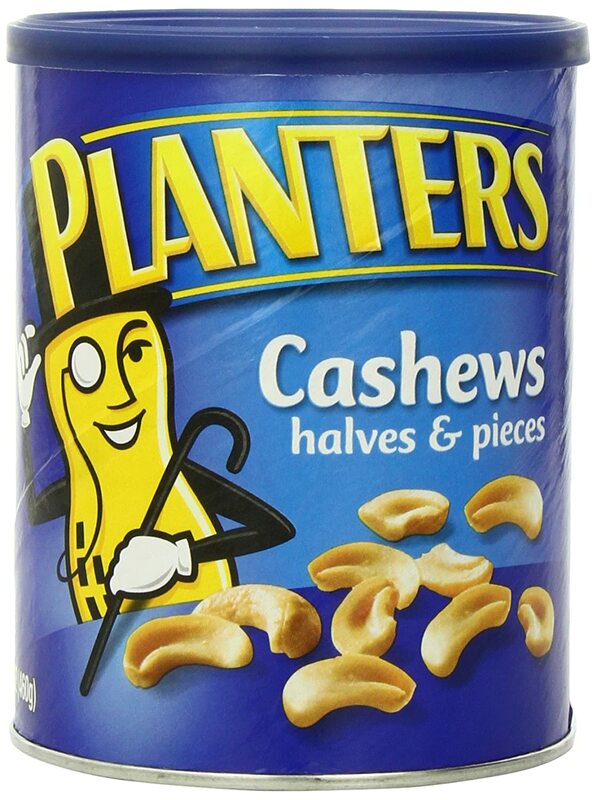 Amazon.com offers Planters Deluxe Whole Cashew, 18.25 Oz for $6.47, shipped free after 20% coupon from the product page and "Subscribe and Save". Expired. 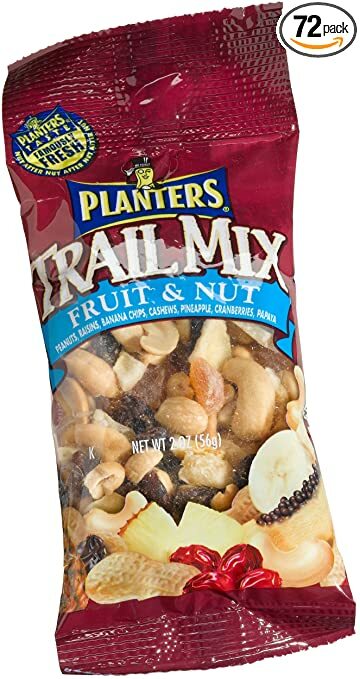 Amazon.com offers Planters Trail Mix Fruit and Nut, 2oz (Pack of 72) for $23.44, shipped free after 25% coupon from the product page and "Subscribe and Save". Expired. 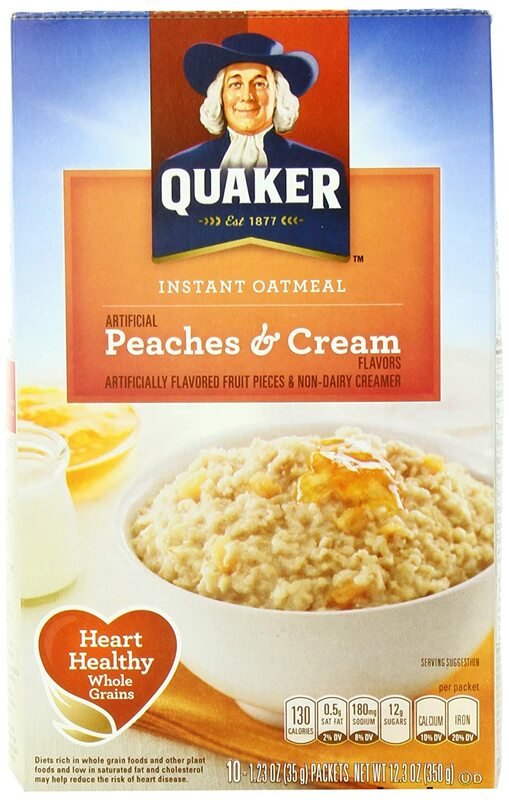 Amazon.com offers Quaker Instant Oatmeal Peaches & Cream, 10-Count Boxes (Pack of 4) for $8.75, shipped free after "Subscribe and Save". Expired. 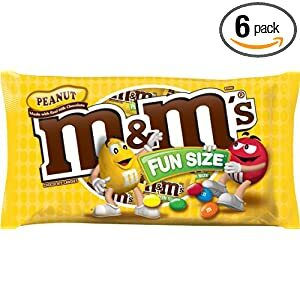 Amazon.com has YummyEarth Organic Lollipops, Assorted Flavors (5-lb bag) for $20.79 when you select Subscribe & Save and use the 15% off coupon from the product page. It includes mix of Sour Apple Tart, Pomegranate Pucker, Mango Tango, TooBerry Blueberry, Googly Grape, Strawberry Smash, Very Very Cherry, Wet-Face Watermelon. Note: You will need to cancel your subscribtion to subscribe & save when you have decided you don't want to automatically receive more shipments. Expired. 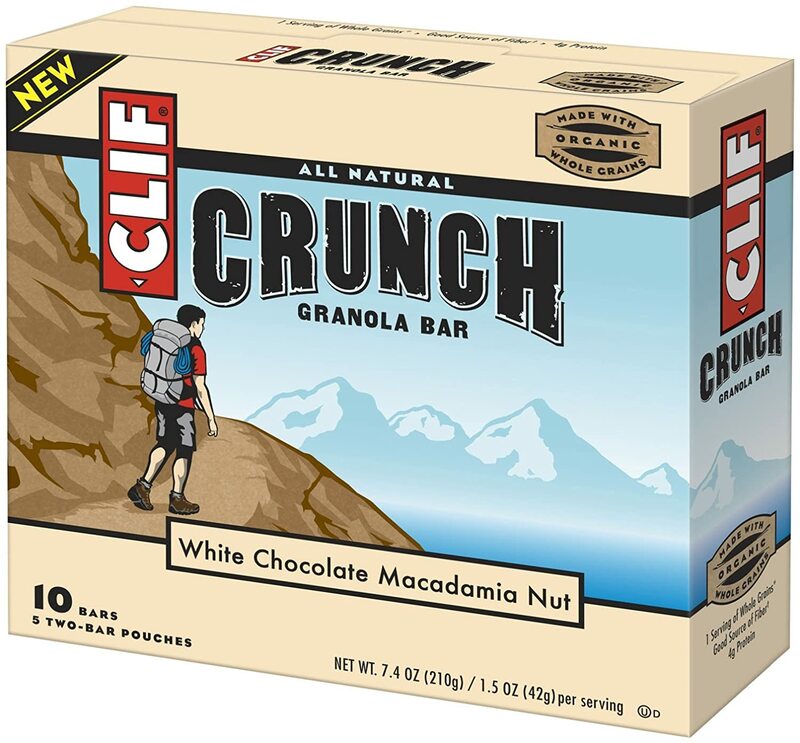 Amazon offers the Clif Crunch Granola Bar, White Chocolate Macadamia, 5 Two-Bar Pouches for $3.03 after Subscribe and Save. Free shipping. Expired. 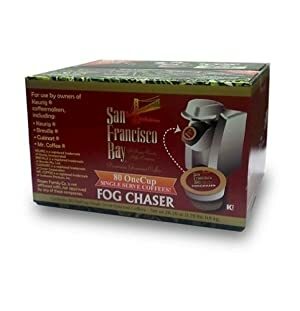 Amazon offers the San Francisco Bay Coffee One Cup for Keurig K-Cup Brewers, Fog Chaser - 80 count, on sale for $27.55 ($0.34 / cup) after you checkout via Subscribe and Save. Free shipping. Expired. 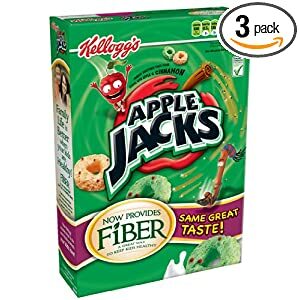 Amazon offers the Bob's Red Mill Cereal 10 Grain, 25-Ounce (Pack of 4) for $8.36 after Subscribe and Save. Free shipping. Expired. 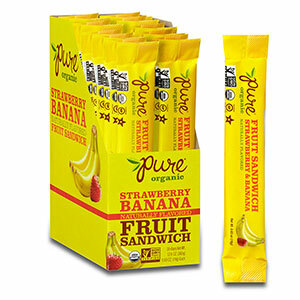 Amazon offers the Pure Organic Fruit Sandwich strawberry banana, 20 Count for $13.99 after $3 off coupon from the product page. 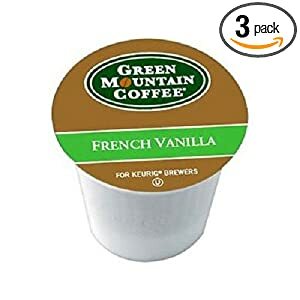 Free shipping for prime members. Expired. 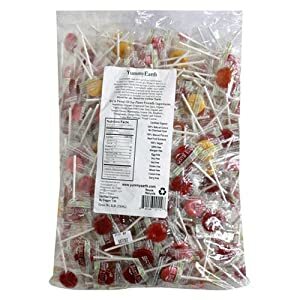 Amazon.com has YummyEarth Organic Lollipops, Assorted Flavors (5-lb bag) for $22.50 when you select Subscribe & Save and use the 20% off coupon from the product page. It includes mix of Sour Apple Tart, Pomegranate Pucker, Mango Tango, TooBerry Blueberry, Googly Grape, Strawberry Smash, Very Very Cherry, Wet-Face Watermelon. Expired. 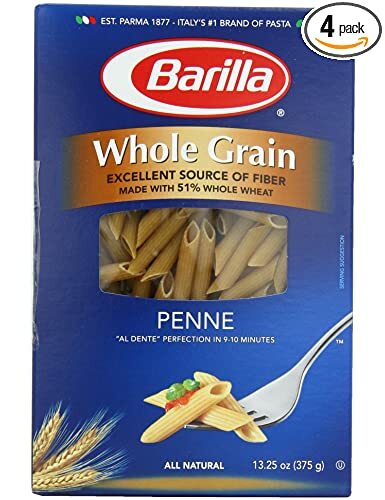 Amazon offers the 4-Pack of Barilla Whole Grain Penne, 13.25-Ounce Boxes for $3.50 after Subscribe and Save and $25% off coupon from the product page. Free shipping. Expired. 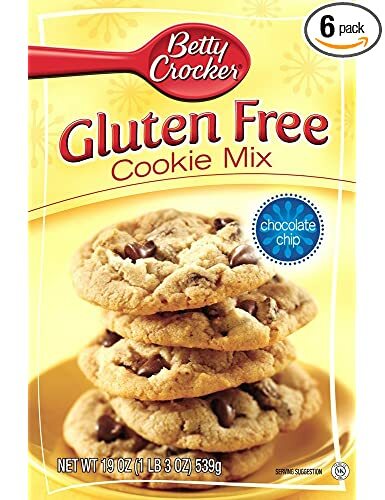 Amazon offers the 6-Pack of Betty Crocker Gluten Free Chocolate Chip Cookie Mix, 19-Ounce Boxes for $16.39 after Subscribe and Save and $4 off coupon from the product page. Free shipping. Expired. 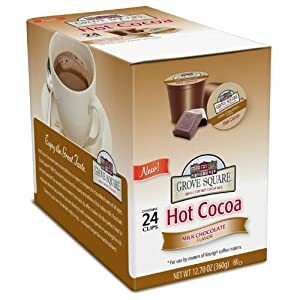 Amazon has 6-Pack Scharffen Berger Chocolate Bars on sale for $7.17 per 6-pack. 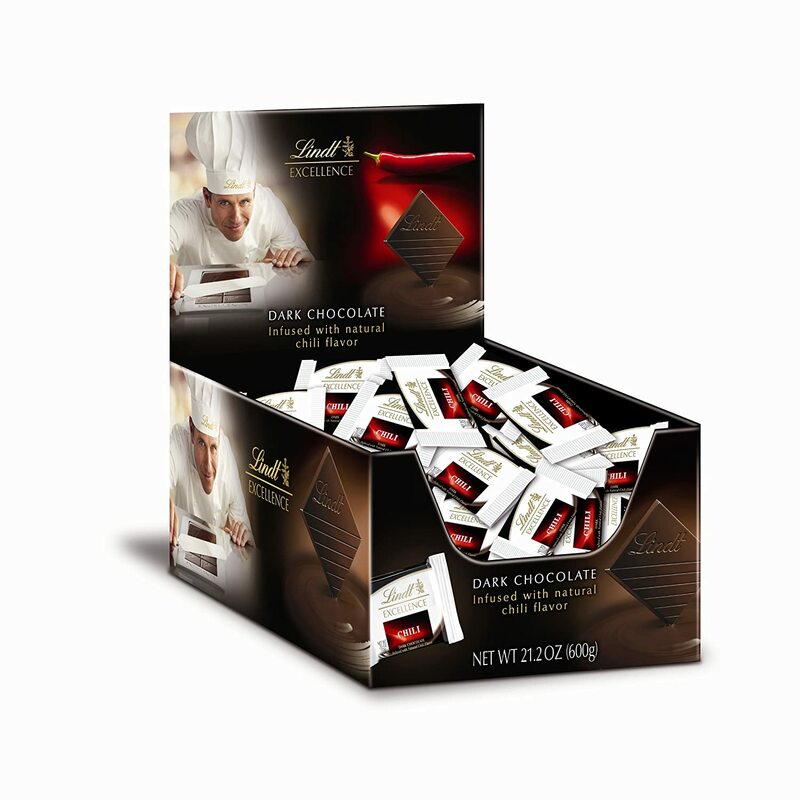 Buy 4 Sets of 6-Pack Chocolate Bars (24 bars total) for $28.68 with free shipping. Free shipping. Expired. 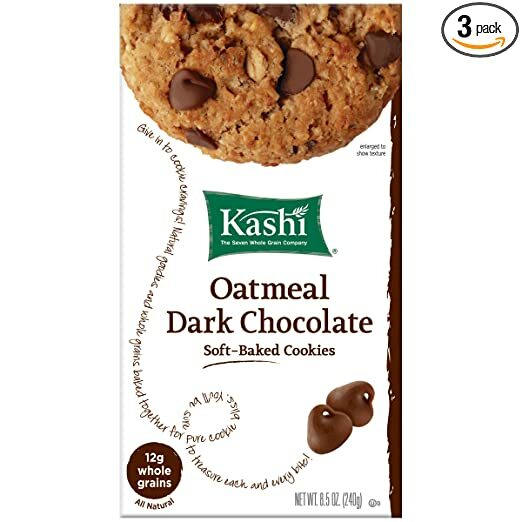 Amazon still offers the 6-Pack of 6-Count Kashi TLC Fruit & Grain Layered Granola Bars (Dark Chocolate Coconut) for $12.92 after Subscribe and Save. Free shipping. Expired. 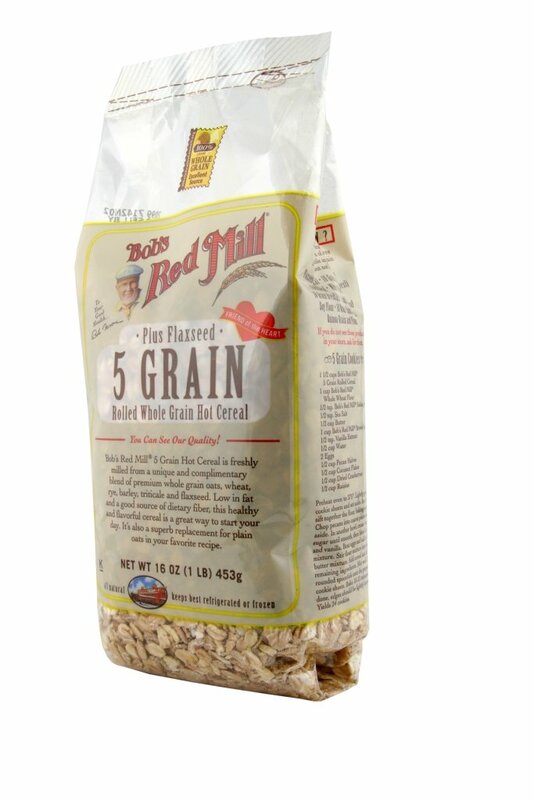 Amazon offers the 4-Pack of Bob's Red Mill Cereal 5 Grain Rolled, 16-Ounce for $7.56 after Subscribe and Save. Free shipping. Expired. 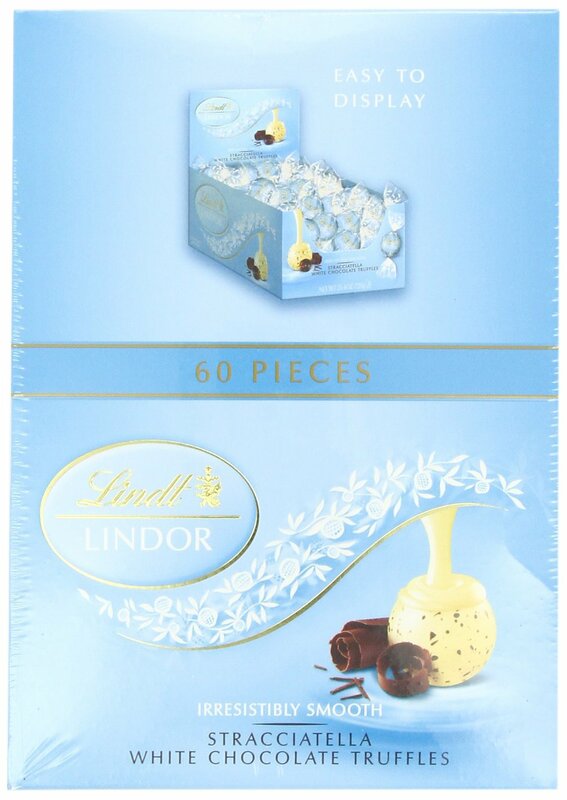 Amazon offers the Lindt Lindor Truffles Stracciatella White Chocolate, 60-Count Box, on sale for $12.46. 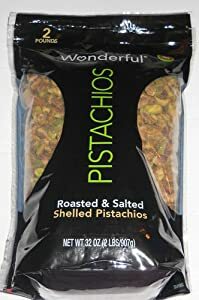 Free shipping for Prime members or o orders over $25. If you buy 2 items you get an additional 20% off your purchase for a limited time. 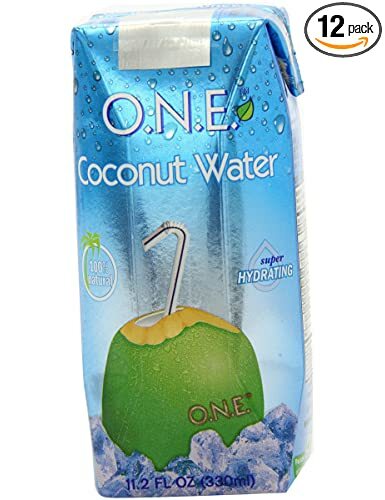 ZICO Pure Premium Coconut Water, Natural 14-Ounce Bottles (Pack of 12) for 19 via Subscribe & Save and you clip the 20% off coupon from the product page. 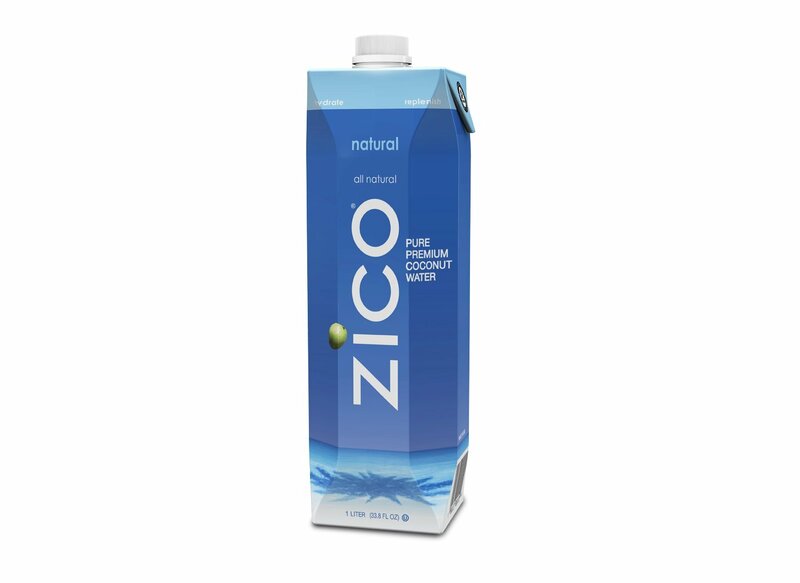 ZICO Pure Premium Coconut Water, Chocolate 14-Ounce Bottles (Pack of 12) for 19 via Subscribe & Save and you clip the 20% off coupon from the product page. Expired. 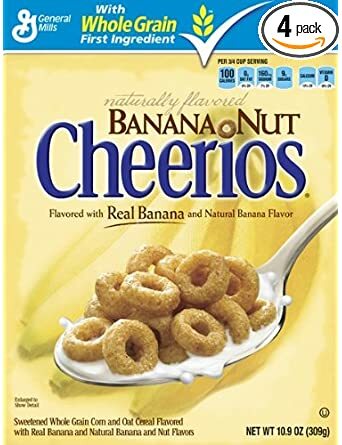 Amazon offers select Cheerios Cereal: 4-Pack on sale starting from $8.34 when you take 5% off via Subscribe & Save and after 25% off instant coupon available on the product page. Shipping is free. Expired. 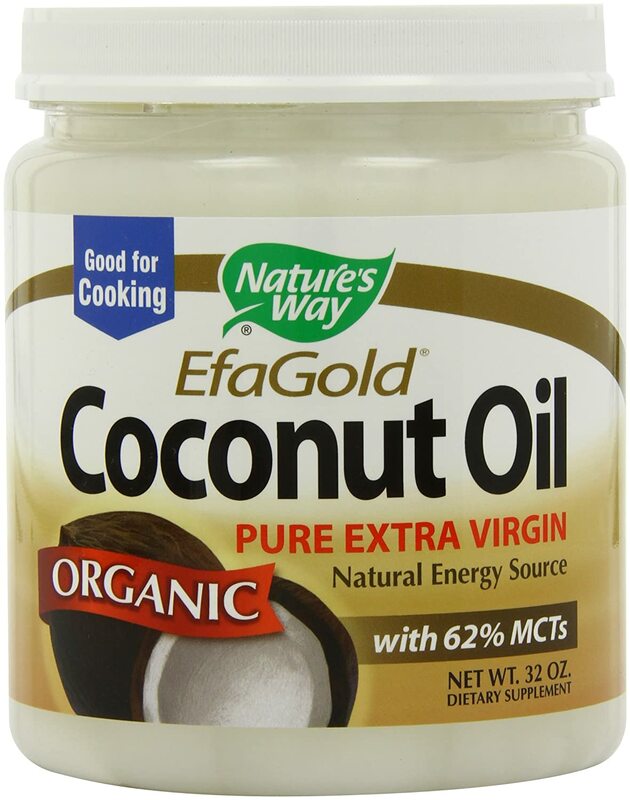 Amazon offers the Nature's Way Organic Coconut Oil, on sale for $13.89 after you checkout via Subscribe and Save. Free shipping. 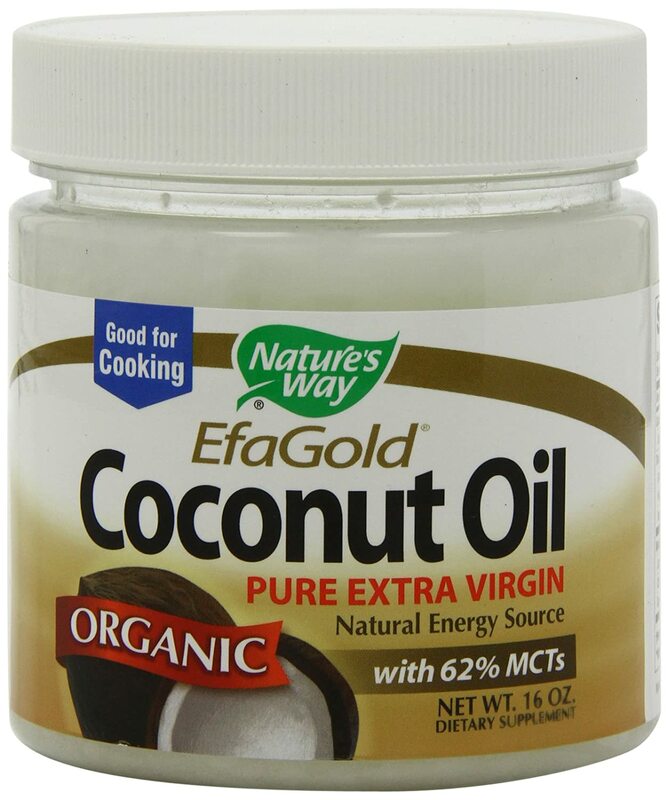 Coconut oil can be taken as a dietary supplement, used for cooking or used for skin & hair care. Expired. 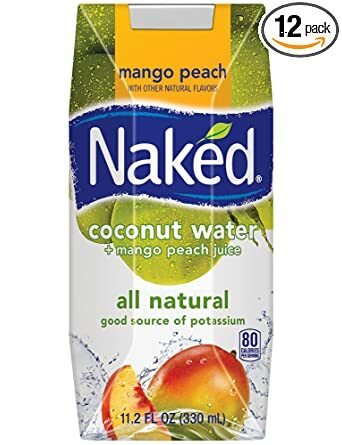 Amazon offers the Naked Juice Coconut Water + Peach Mango, 11.2-Ounce Containers (Pack of 12), on sale for $11.04 after you clip $10 off coupon on the product page and 5% off when you checkout via Subscribe and Save. Free shipping. Expired. 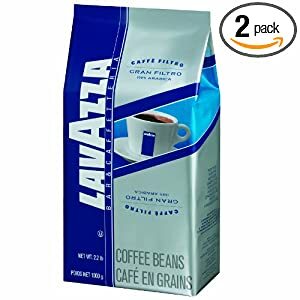 Amazon offers the Lavazza Gran Filtro Whole Bean Coffee, 2.2-Pound Bags (Pack of 2), on sale for $25.79 after 5% off when you checkout via Subscribe and Save. Free shipping. Expired. 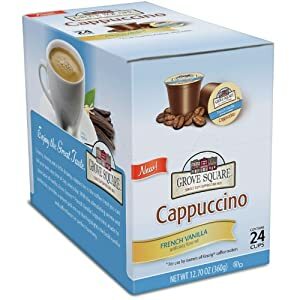 DollarGeneral.com offers a sale for Folgers Coffee when you use $5 off $25 promo code SAVENOW at checkout. Free shipping. Expired. 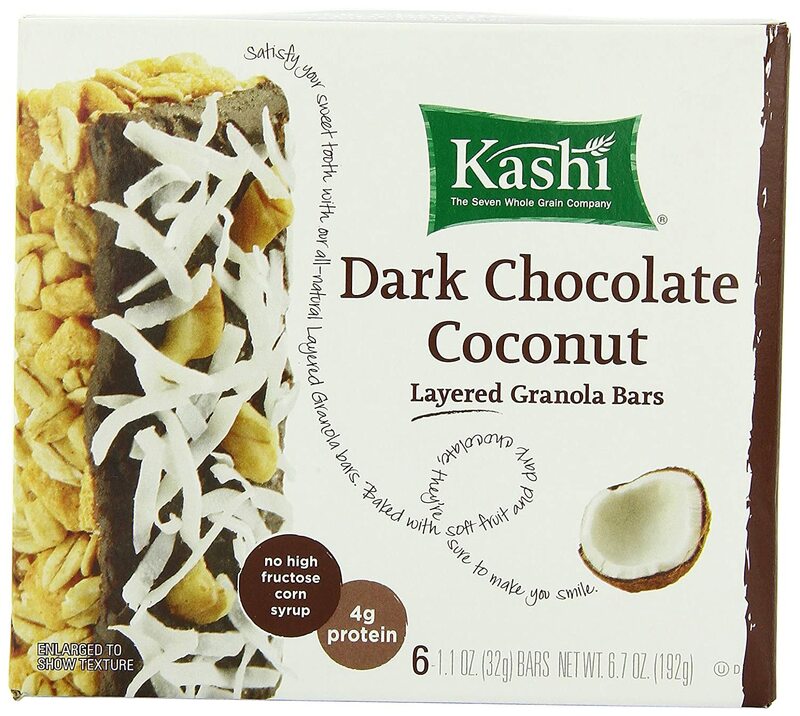 Amazon offers the 6-Pack of 6-Count Kashi TLC Fruit & Grain Layered Granola Bars (Dark Chocolate Coconut) for $14.25. 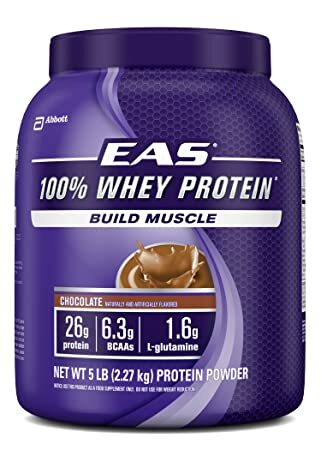 Free shipping for Prime members or on orders over $25. Expired. 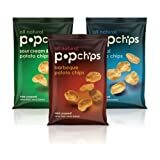 Today only, Amazon takes 40% off select Popchips Variety Packs! Plus, get an extra 5% off and free shipping when you add to cart via Subscribe & Save. Expired. 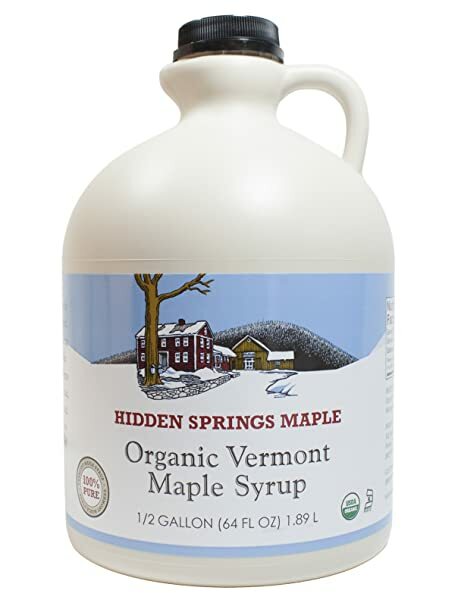 Each week, Whole Foods is publishing new printable coupons for select food items, drinks and groceries. These coupons can be redeemed only for the specified products in the Whole Foods stores, even if other stores may be selling the same products. 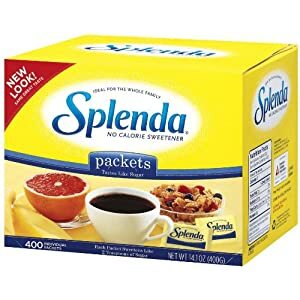 Browse this page before heading to the store to find the latest available Whole Foods in-store coupons, and print the ones that you need. Expired. 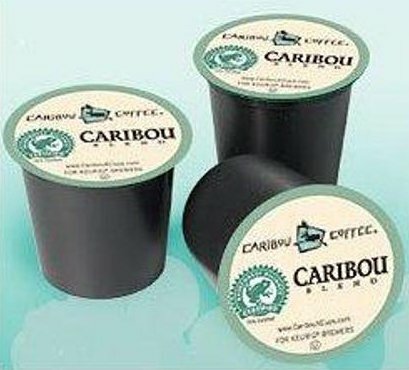 Walmart offers a selection of Starbucks gift sets for $8.98 plus 97 cents for shipping. 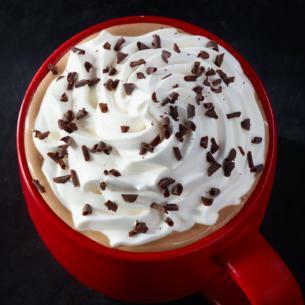 Select at least 2 more coffees from this page . Expired. 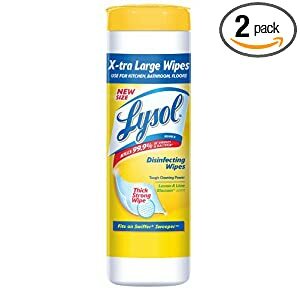 Amazon offers the Lysol Disinfecting Wipes, Lemon and Lime, Extra Large, 24 Count (Pack of 2) for $3.60 shipped free when you add it to your cart via Subscribe & Save, the lowest price we could find. Expired. 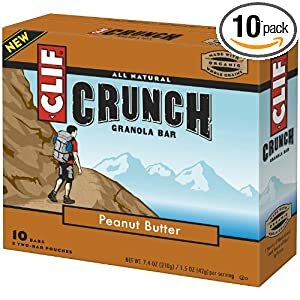 Amazon offers the Clif Crunch Peanut Butter Granola Bar 10-Pack for $3.79 shipped free when you add it to your cart via Subscribe & Save, the lowest price we could find by $13. Expired. 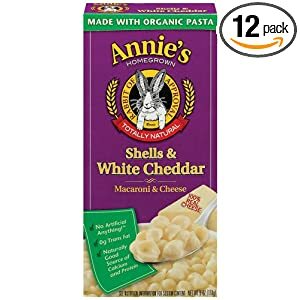 Amazon offers Annie's Homegrown Shells & White Cheddar Macaroni & Cheese, 6-Ounce Boxes (Pack of 12) for $15.16 when you take 5% off via Subscribe & Save. Shipping is free. 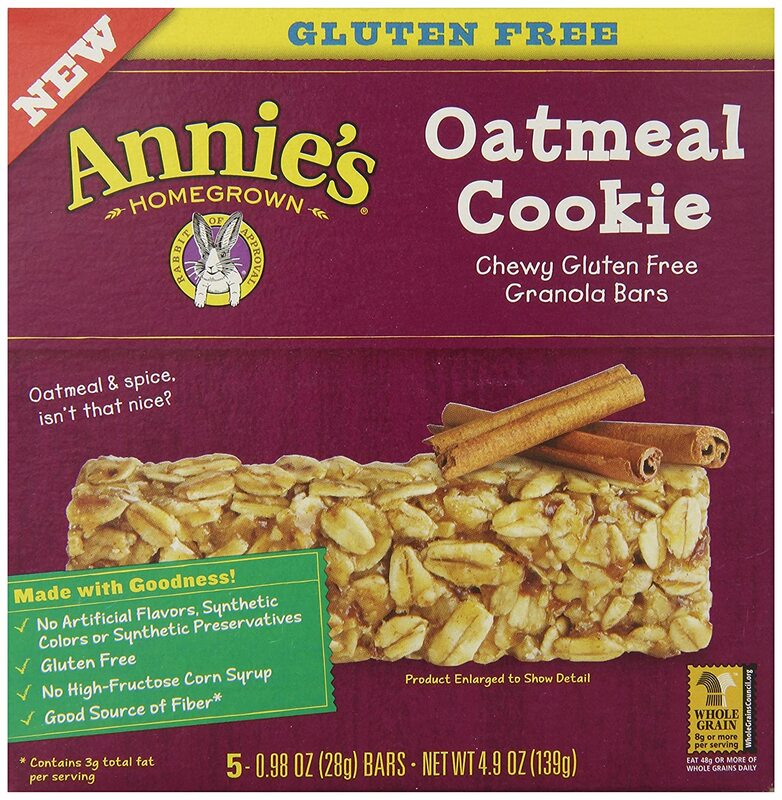 Annie's Homegrown Totally Natural Shells & Real Aged Cheddar Mac & Cheese, 6-Ounce Boxes (Pack of 12) for $14.71. Annie's Homegrown Classic Macaroni & Cheese, 6-Ounce Boxes (Pack of 12) for $14.71.